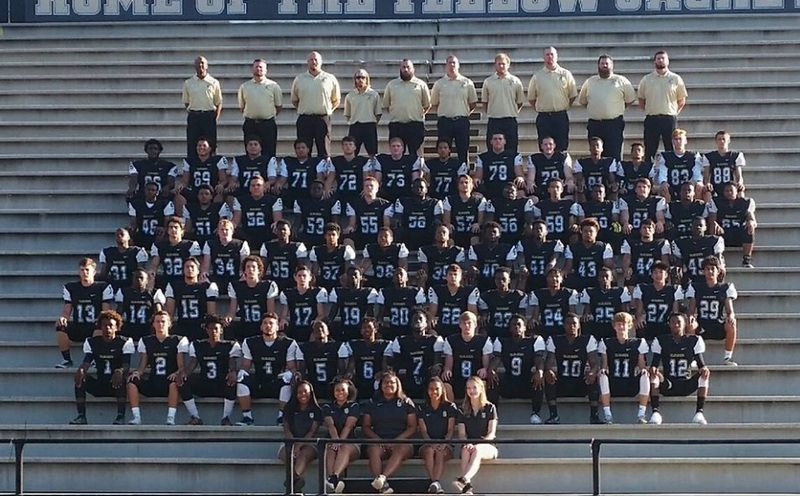 As we head into my second year as Head Coach of the Sprayberry High School Football team, I am extremely excited about the 2018 season. This season, we expect to see a big step forward. The kids have a better understanding of our systems and expectations, and the coaches have a better feel for the talents of our players. After last year, the kids have come back with a great attitude, and have put in overtime in the weight room and our summer program to prepare for the season. My staff and I are dedicated to each and every player in our program and we know our student athletes will represent our community in a positive manner. We have a number of seniors who will provide the leadership we need, as well as some talented underclassmen who we expect to excel at the varsity level. I would like to personally invite all of our Yellowjacket supporters to join us this season in support of our student athletes. In addition to all the hard work they put in on the football field, these kids give back tremendously with community outreach projects like a 5k run, the east Cobb Community egg drop, and the Piedmont Church Winterfest event. 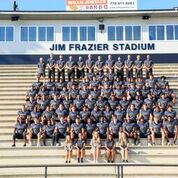 As a group, our athletes will continue to pursue excellence, both in the classroom, in the community, and on the field. 2018 is guaranteed to be an exciting season as we continue to build on the tradition of excellence within the Yellowjacket program! The accomplishments and goals we hope to achieve as players, coaches, and an organization take commitment, hard work, and resources. We attempt to provide our players with the best experience possible. Unfortunately, high school athletics are not completely funded by our school and county. Our program's funding continues to be supplemented by the players, their parents, and the support and generosity in the community. This supporting cast is an integral part in the success of our program. As our players continue to work hard in the classroom and on the field this season, we respectfully request your financial assistance as we continue our efforts to provide our student-athletes championship level resources and equipment. The contributions we receive will be used to cover costs such as a new scoreboard, an alumni/special events deck, new uniforms, and other general season expenses that we will incur. Most important of all, your generous donation will provide our players and coaches with the support needed to develop strong, disciplined young men of character, integrity, and pride. Thank you in advance for your support! We appreciate it!